UP THE DOSE: The debut EP from Medicine Bird is a promising teaser for fans of the Rolling Stones, Black Crowes, the JuJu Hounds and other like-minded, blues-based rockers. Fans of the countrified Rolling Stones, Georgia Satellites and other blues-rock dealers will find their share to crow about on the debut EP from Medicine Bird. A swampy stew of blues harp, Hammond B3, twangy guitars and backwoods vocals, the five-song serving is the brainchild of songwriting duo Jeremy White and Tobin Dale. “Just Come As You Are,” gets things started with a three-shot swagger, but overall the EP settles into a morning-after, mid-tempo drawl. “Lost and Lonely Soul” peeks into the toils of a crumbling down-and-outer (“fold me up like a lawn chair”) while “Only Man You Need to Know” seems to juxtapose lovelorn desperation with (false?) hope. “Chin Waggin’ Mama” runs the vocals through an effects box and tells the classic/cautionary tale of an obnoxious loudmouth who is reminded through a teeth-gnashing sneer that “if you ain’t got two pennies, mama, you ought not drop a dime.” Genius! Closing track “Cold Side of the Mountain” journeys around the bend in search of self-imposed exile and — along with the previously mentioned track — reminds these ears of Austin’s long-defunct bluegrass maestros, the Bad Livers. 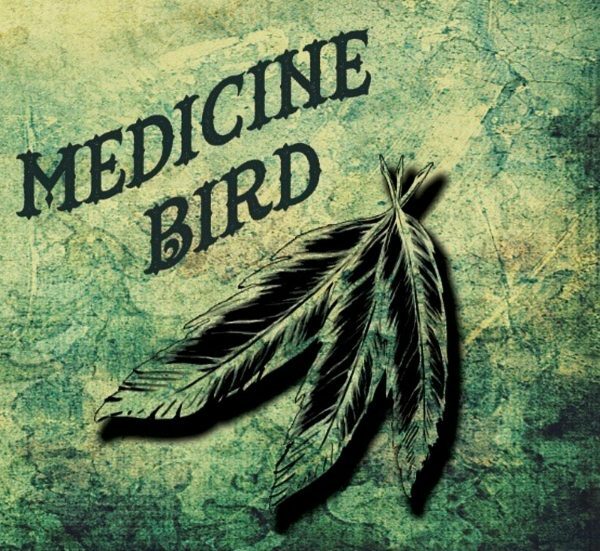 EPs seem to be the preferred format of choice these days, but another upbeat rocker or two would better balance this debut flight (L.A. to Nashville) from Medicine Bird. It’s a small spoonful, but it goes down fine, and ultimately Medicine Bird shows plenty of promise for those who like their rock-n-roll dosed with twang-n-drawl.